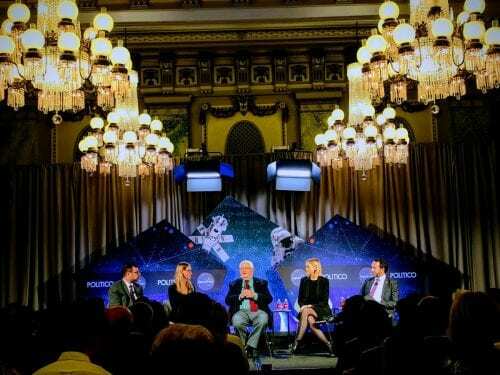 Dr. Logsdon was featured in a panel last night hosted by Politico on the new American space age. “We sit at a pivotal moment for John F. Kennedy’s legacy of space innovation, with private enterprise ramping up spaceflight efforts and anew administration in Washington considering a new vision for America’s space program. Join POLITICO as we convene experts for a deep-dive conversation to explore the possibilities and risks of what could be a historic transformation in space innovation and policy. Is there a new vision for American space innovation that will capture the imagination of America -and what will it take to get there?